The GSRP Advisory Council is an advisory group for the Great Start Readiness Program Providers in the Ingham ISD service area. Meetings take place on Fridays from 9:00 am to 12:00 pm at the Thorburn Education Center, located on the Ingham ISD Main Campus at 2630 W. Howell Road in Mason (map). For meeting agendas, minutes and other documents, please visit http://inghamgreatstart.org/gsrp-advisory-council-meeting-information/. The Great Start Readiness Program (GSRP) is a quality preschool experience for children who will be four years of age by September 1, 2018 for 2018/19 school year. 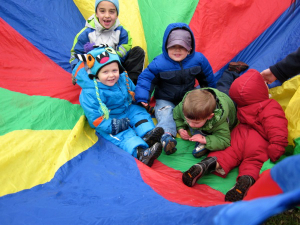 The Great Start Readiness Program is a state funded preschool program that is tuition free for eligible families. GSRP is taught by a credentialed teachers and associate teachers. A variety of GSRP programs are available in the Ingham area. Please check with your local participating school for information on whether they offer Full Day and/or Part Day programs in your area. The GSRP programs include preschool classroom experiences, parental support, resources, and home visits. Parents are encouraged and welcomed to participate in classroom activities. For information about the Great Start Readiness Program Funding Application for Fiscal Year 19, click here. 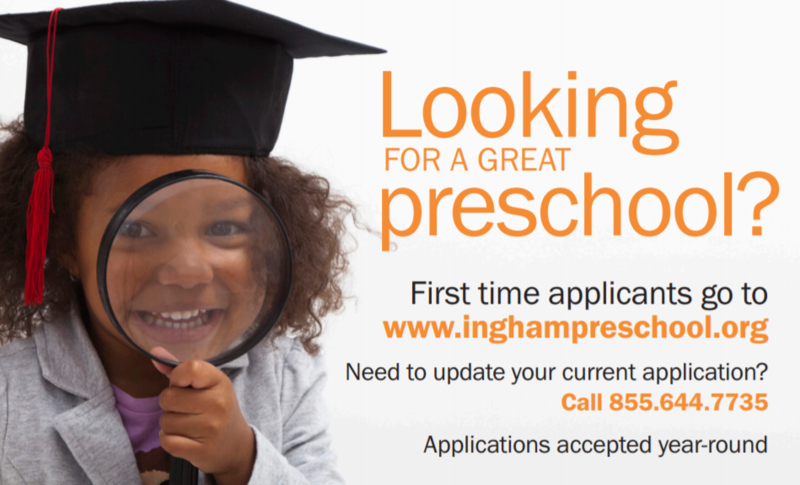 For more information on Head Start, GSRP and tuition-based preschools in the area, visit our website at www.inghampreschool.org. Decisions for Great Start Readiness Program preschool enrollment are based on individual family experiences, one or more of these experiences may qualify your child: family income, abuse, addiction, challenging behaviors, change in guardianship, child development concerns, environmental risks, English as a 2nd language, family school difficulties, mental health and single parent home due to a variety of factors. Eligible children must be 4 years old by September 1, 2018 (but not 5) for the 2018/19 school year.